Origin Europe to Caucasus, Anatolia, Lebanon and Western Siberia. Parsnip is a member of umbelliferae (Apiaceae) family, in the genus, Pastinaca and is actually a relative of the carrot, parsley, celeriac, cumin, dill and parsley root. It is a sweet, succulent underground taproots closely related to the carrot family. 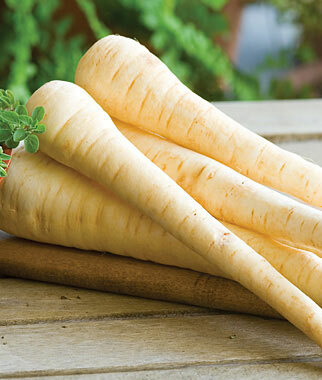 The word Parsnip is from the Latin ‘pastus’ meaning food and ‘sativa’ meaning cultivated. It is a root vegetable that is native to Eurasia and has been used extensively in that region since ancient times. It is closely related to carrots and parsley, and for that reason, it is often mistaken for carrots in historical records. Harris Model Parsnips, All American Parsnips, Hollow Crown Parsnips, Cobham Marrow Parsnips and The Student Parsnips are some of the popular varieties of Parsnip which is grown throughout the world. Parsnip, Pastinaca sativa, is an herbaceous biennial plant in the family Apiaceae grown for its edible taproot resembling a pale carrot. It is found growing in cool temperate climate and prefers full or partial sun. Moist to mesic and fertile loamy soil is preferable for better growth of the plant. The plants normally reach 2-5 feet (0.6-1.5 meters) tall and have deep taproot that is thick and fleshy and can grow between 10 and 23 cm (4–9 in) in length. It has erect, glabrous to sparsely hairy, angular and furrowed stem with a rosette of leaves. Leaves are once- or twice-pinnate with broad, ovate, sometimes lobed leaflets with toothed margins; they grow up to 40 cm (16 in) long. Leaflets are yellowish-green, shiny, oblong, coarsely toothed, and diamond-shaped. 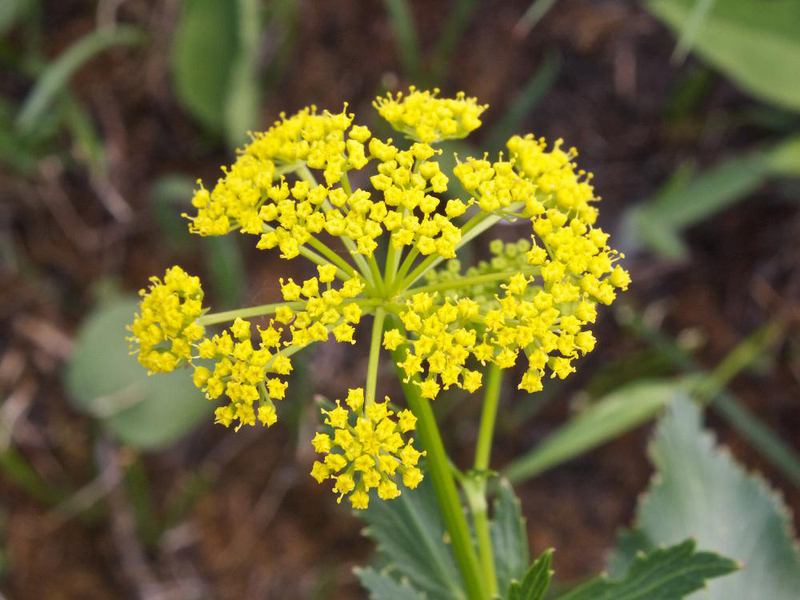 The plant produces yellow flowers are in a loose, compound umbel measuring 10 to 20 cm (4 to 8 in) in diameter and is found blooming from June to September. The flower later produces fruits, or schizocarps, which are oval and flat, with narrow wings and short, spreading styles. They are straw to light brown colored, and measure 4 to 8 mm (0.16 to 0.31 in) long. 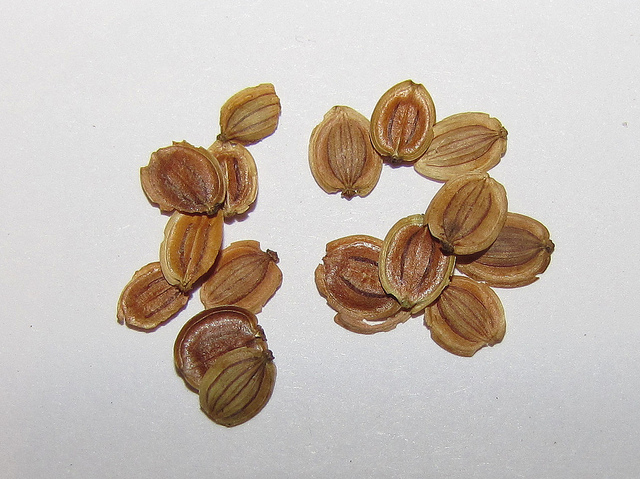 Seeds are normally pale brown, oval or globose, narrowly winged. Parsnips are sweet, succulent underground taproots closely related to the carrot family of vegetables. 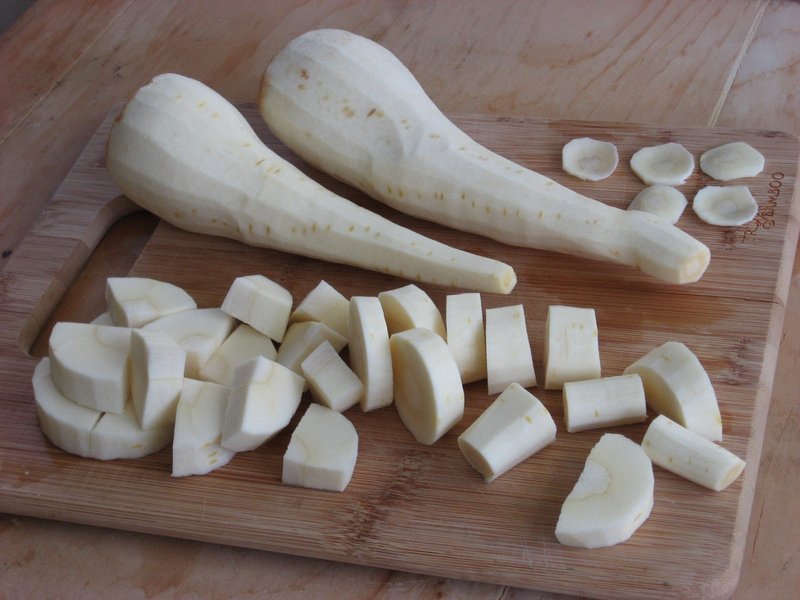 The parsnip root is primarily eaten as a root vegetable after cooking. May be sliced and turned into crisps. 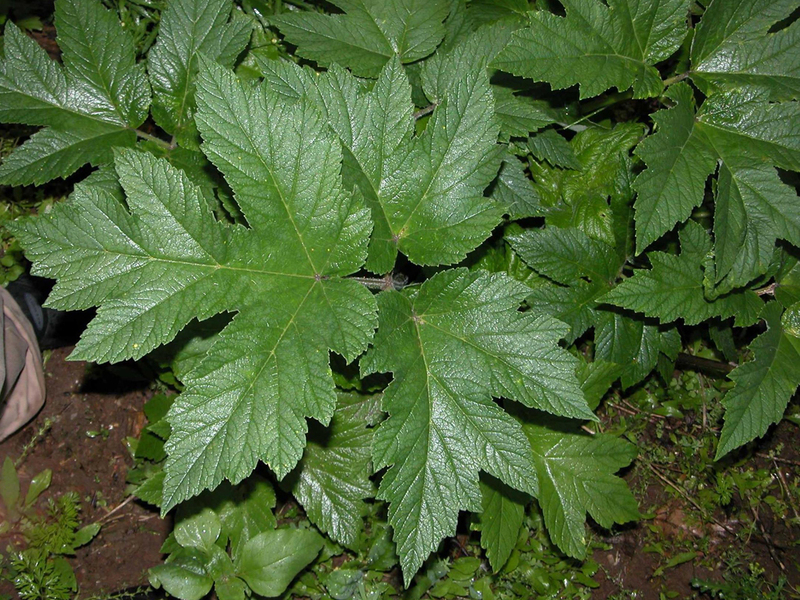 The leaves of the plant are also edible and may be cooked and eaten as a vegetable. 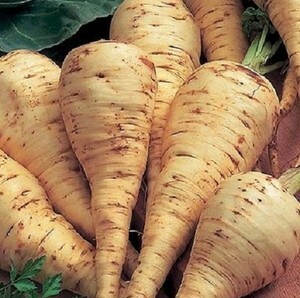 Parsnip root is smooth, fleshy, cylindrical, but some cultivars have a more bulbous shape and are yellowish white color and similar to the carrot in appearance. Flesh is usually cream-colored and has slightly celery-like fragrance and sweet and peppery taste. The roots are generally harvested when they reach about six to ten inches in length, by pulling an entire plant along with its root (uprooting) as in carrots. It was even used as a sweetening agent for foods before cane sugar became a major import to Europe. You can still find parsnips as a main vegetable dish in many nations of Europe, particularly in the United Kingdom, where “neeps and tatties” (parsnips and potatoes) is one of the most famous dishes in Scotland. Parsnips are believed to be native to the eastern Mediterranean area including the Caucasus. The Roman word for parsnip was pastinaca. Parsnip were illustrated in Germany in 1542 and called Pestnachen, a German form of the Roman word for parsnip, pastinaca. Parsnip was a poor man’s food much as potatoes because they were comparatively productive and stored for a long time. Later it was introduced into England during 16th century. Colonist brought them with them to Virginia and 20 years later parsnips were very common in Massachusetts. Indians even took to growing parsnip and thus they spread throughout the United States. Nowadays it is found growing throughout the world due to its wonderful health promoting nutritional value as well as its miraculous taste. 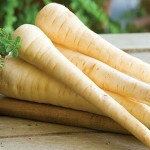 Apart from their sweet and peppery taste Parsnip is a good source of nutrients, vitamins and minerals. Consuming 100 gram of cooked Parsnip offers 0.745 mg of Manganese, 22.6 mg of Vitamin C, 29.9 µg of Vitamin K, 89 µg of Vitamin B9, 23.93 g of Carbohydrate, 0.16 mg of Copper, 6.5 g of Total dietary Fiber and 0.798 mg of Vitamin B5. Parsnip dishes really are a healthy accessory for any kind of holiday food. Many individuals believe parsnips are simply pale carrots, even though they are within the identical family, they’re not just one within the same. Another thing they do have in common is definitely the capability to increase serotonin within the brain, which will help you really feel happier! Parsnips additionally consist of falcarinols which have powerful anti-bacterial, anti-microbial as well as anti-fungal qualities, assisting the entire body within the combat against swelling. Manganese is one of several trace elements that are essential for bone health. There is no particular indication that manganese can prevent osteoporosis, but some research found that taking a mixture of calcium, zinc, copper, and manganese helped lessen spinal bone loss in a group of post-menopausal women. Anyone may have osteoporosis, but it is common in mature women. As many as half of all women and a quarter of men older than 50 will break a bone due to osteoporosis. Parsnip consists of 0.745 mg of manganese which is 32.39% of the daily recommended value. Copper is essential for the synthesis of adenosine triphosphate, which is an energy storehouse of the human body. The cuproenzyme, cytochrome c oxidase, affects intracellular energy production. It acts as a catalyst for the reduction of molecular oxygen to water, during which the enzyme produces an electrical gradient used by the mitochondria to synthesize the vital energy-storing molecule, ATP. Therefore, when we have enough copper in our bodies, we will have enough functional and accessible energy to get through the day without feeling lethargic or tired. Lead Toxicity is a severe health problem found mainly in kids, particularly in urban areas. Unusual growth and development has been discovered in certain children who are exposed to lead. They develop behavioral problems, learning disabilities and also tend to have a low IQ. It may damage the kidneys and increase blood pressure in adults. Vitamin C supplements as well as vitamin C rich food can reduce the blood lead level. Including Parsnip on your regular diet can help to solve this problem as it consists of considerable amount (25.11%) of Vitamin C.
Vitamin B9 contained in parsnip is helpful in treating numerous mental and emotional disorders. For instance, it is helpful in treating anxiety and depression, which are two of the most common mental health problems suffered by people in today’s modern world. Parsnip0 consists of Vitamin K that has been displayed to be effective in decreasing the risk of prostate, colon, stomach, nasal, and oral cancers. Research found that high doses of vitamin K helped patients with liver cancer stabilize and even improve their liver function. Another research showed that an increase in dietary intake of vitamin K is related with a reduced risk of cardiovascular, cancer. 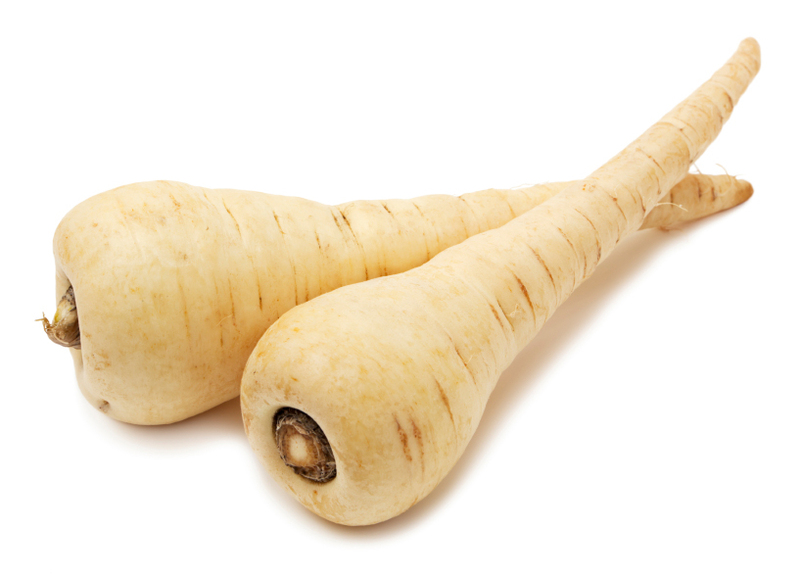 Parsnip consists of 29.9 µg of Vitamin K which is 24.92% of the daily recommended value. Parsnips, a distant relative of the carrot, are available in distinct types with various features to include in your dinner table. The Harris Model variety of parsnip is well-liked by home gardeners as well as industrial farmers. It’s got smooth white-colored skin, straight roots along with a much more carefully grained flesh as compared to various other cultivars. It’ll grow from 12 to 15 inches long in approximately 130 days. This particular sweet-flavored parsnip does very best in partial sun along with reasonable watering, and often will require surface protection throughout the very coldest climate. Plant the Harris Model in loamy, well-drained, citrus soil. 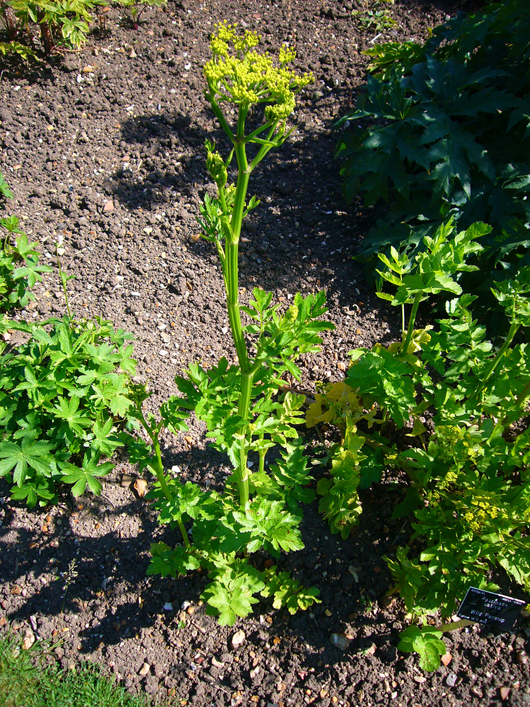 The All American parsnip is really a fast-growing variety, able to be collected in just 95 days. The flesh is soft, having a fairly sweet, ridiculous taste. Disease resistant, the All American is most beneficial gathered throughout late fall. It may be left outdoors through the majority of the winter if properly protected by straw mulch or even row covers. It lets you do very best in partial sun along with light watering and really should be grown in loamy, slightly acidic soil. The Hollow Crown parsnip is definitely an heirloom variety from England, therefore titled for the submerged, crown-like design in the bottom of the leaves. The roots grow to a lot more than 14 inches long and also need deep-soil tilling. This particular parsnip multiplies as well as sweetens in severe winter months. It will take as much as 3 weeks to emerge, but could be forced in case the soil is warmed up using a covering of clear plastic. Plant it in well-tilled, acidic soil as well as water on a regular basis. Harvest from mid-fall through winter. 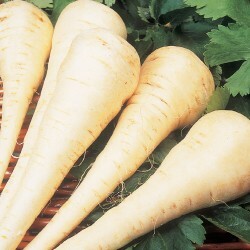 The Cobham Marrow parsnip develops roots as much as 8 inches lengthy. This really is one of several sweetest parsnip types, utilized quite often in desserts or even glazed along with brown sugar. It germinates within just 3 weeks and is also extremely resistant against canker disease. Till plant beds from 12 to 16 inches deep. 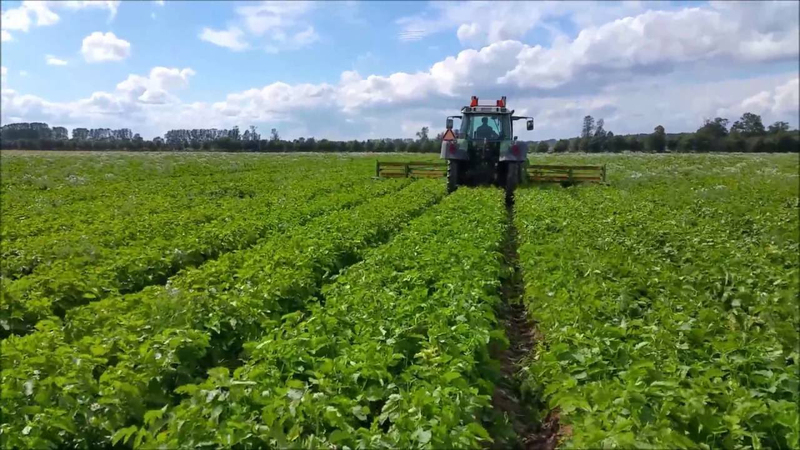 This particular parsnip is harvest-ready in approximately 4 months, even though the taste will further develop if left within the beds past the first couple of hard frosts. The Student is definitely an American heirloom parsnip dating to the mid-1850s. The root can easily develop to 30 inches long in case the plant beds are seriously tilled. The taste is sweet and also gentle, that will improve if left in the earth beyond the initial few frosts. It’ll, however, require surface safety to stay practical. This particular parsnip requires in between 95 to 125 days to mature and does very best in incomplete sun along with reasonable watering. Parsnip can be consumed raw, cooked, boiled, fried or roasted. The root is delicious baked; it may also be used in soups, stews, salads, casseroles, pies and puddings and dried for seasoning soups and processed for canning. Parsnip is used for making jam, marmalade preserve and sweet flour for cakes. Parsnip is eaten with salt fish and boiled eggs during Lent. Roasted parsnip is considered a significant ingredient in Christmas dinner and is featured in the traditional Sunday roast. 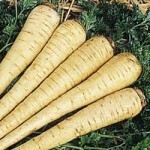 Parsnip is also used for making beer and wine in Britain and Ireland. Cottagers make a beer by boiling the roots with water and hops and afterwards fermenting the liquor in Ireland. In the north of Ireland, they have been often brewed with malt instead of hops and fermented with yeast, the result being a pleasurable drink. Parsnip wine, when properly made, is valued by many people; the quality has been said to approach the famed Malmsey of Madeira. Leaves and young shoots are cooked with other greens as a vegetable or added to soups. Seed is used as a condiment and has similar taste as dill. Raw parsnips add distinctive sweet taste to salads, coleslaw, and toppings. It can be cooked and mashed with potato, leeks, cauliflower, etc. Slices and cubes added to stews, soups, and stir-fries and served with poultry, fish, and meat. 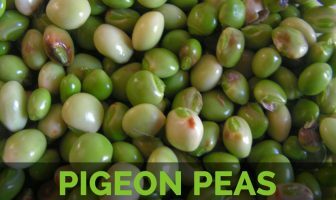 It can be used in breads, pies, casseroles, cakes, etc., in a variety of savory dishes. Parsnips are boiled and the solid portions are removed from the soup or stew, leaving behind a more subtle flavor than the whole root, and starch to thicken the dish. It is used in folk medicine for kidney disorders, jaundice as well as other disorders. Root and leaves are diuretic. 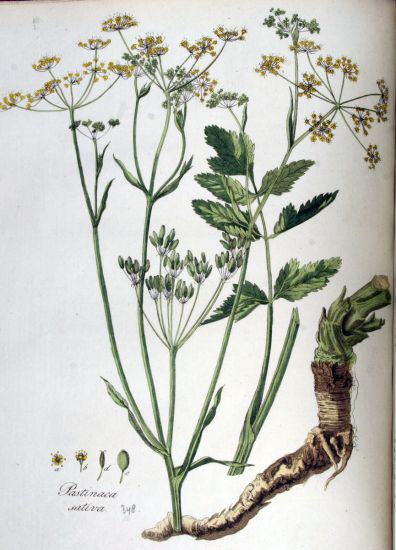 Tea made from parsnip root has been used in the treatment of women’s complaints, and a strong decoction has been used for intermittent fever. A poultice of the roots has been used externally to inflammations and sores and to treat psoriasis and vitiligo. Oils extracted from parsnip seeds have been used to treat intermittent fever. In traditional Chinese medicine, the root of Chinese parsnip is used as an herbal medicine ingredient. Roots and shoots serve as good animal feed especially for pigs and dairy cattle. Leafy shoots and roots are used to a domestic insect spray to control aphids and red spider mites. Parsnips are not only a valuable item of human food, but equal, if not superior to carrots for fattening pigs, making the flesh white and being preferred by pigs to carrots. Furanocoumarins found in parsnip had been shown to be toxic or repellent to insects. 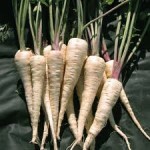 Parsnip consists of polyacetylene that have proven cytotoxic activity. Caution is recommended in individuals using anticancer agents, since the mixture might have addicting results. Parsnip could cause photosensitivity. Caution is suggested in individuals taking some other agents that can cause light sensitivity, just like St. John’s wort, since the mixture may improve this side-effect. Parsnip plant and its parts may cause hypersensitivity reactions like contact dermatitis and oral allergy syndrome (OAS) when handled in some sensitive individuals. Choose Parsnips which are smooth, firm and one which is about the dimensions of a medium carrot. Gentleness is oftentimes a sign of rot, which might seem like a gray mold or even watery soft rot. Woody cores are usually present in huge, rough roots. The majority of parsnips can be purchased with the tops taken out; in case the tops are still connected, cut them off just before saving them so that they don’t pull humidity from the roots. They may be kept for a couple of weeks within the fridge. To get the complete taste of parsnips, they must be steamed within their skins till tender. Then they might be peeled and split lengthwise. In case the core is big, scoop it out using the point of a knife. If soft, they may be consumed raw. Parsnips could be baked, steamed, roasted and also boiled. They are coupled with meat or even fish to make soups. Boil the parsnips and also mash them. Mix all of them with just a little butter, milk, salt and pepper for the scrumptious flavor. Boil parsnips till soft, about eight minutes, and mash along with unsalted butter and low fat milk for the low-calorie parsnip puree. Shred 1 parsnip and also combine it with your Coleslaw mix to get a spicy bite. Dice 2 carrots and 2 parsnips and sauté along with chopped onion to get a low-calorie breakfast hash. Rough chop parsnips and also put in more preferred stew. Give crushed potatoes a kick simply by mashing parsnip together with potatoes. 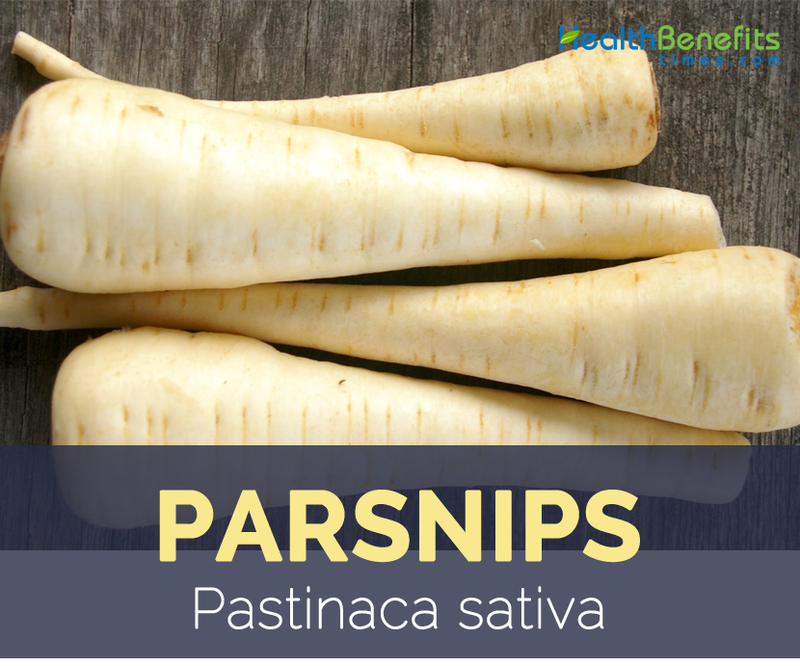 Slice parsnips into strips, rub along with olive oil, rosemary, salt & pepper. Bake at 400° F for Fifteen minutes or even till done for healthy low-calorie fries! Pastinaca opaca Bernh. ex Hornem. Pastinaca taraxacifolia Fisch. ex Roem. & Schult. Pastinaca tereticaulis Boreau ex Čelak. 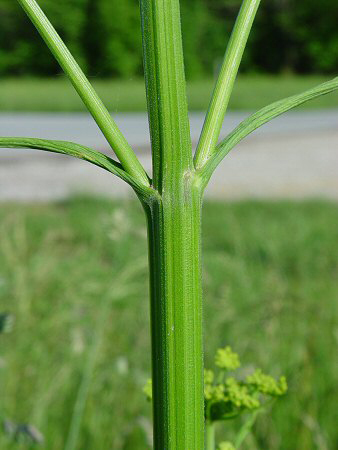 Peucedanum pastinaca (L.) Benth. & Hook. f.
Peucedanum sativum (L.) Benth. & Hook.f. ex B.D.Jacks. Calories 100 Kcal. Calories from Fat 3.6 Kcal. Calories 111 Kcal. Calories from Fat 4.23 Kcal. Calories 111 Kcal. Calories from Fat 4.23Kcal.